Southpoint Apartment Homes, located in Massapequa, New York, boasts contemporary and spacious apartment homes situated on 17 beautifully landscaped acres. Our community offers a variety of floor plan options including one, two, and three bedroom layout. Each unit comes with high end finished including newly updated kitchens and baths. Call or stop by today to check it out for yourself! Check out a full list of our community and apartment amenities! By being situated right outside of New York City, Southpoint’s location brings the perfect balance of tranquility and energy. Our Massapequa, NY apartments are just around the corner from various restaurants, parks, schools, shopping, and more. Everything you need is right in the neighborhood when you live with us. Explore our location more on the map and see what else is nearby! You can have it all when you live at Southpoint Apartment Homes. 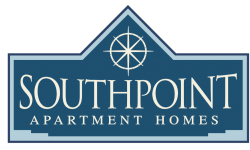 Our newly renovated kitchens & baths, variety of floor plan options, and convenient location makes Southpoint your ultimate dream home. Give us a call at (516) 300-1241 with any questions or to schedule a tour of a one, two or three bedroom apartments. Apply online today to find your perfect new home!